A soup dumpling is an item that is often found in a Chinese restaurant. It is usually filled with pork and soup broth. The first time I ever tried it, I was simply amazed. I wondered how in the world they slipped the delicious broth inside that silky wrapper and sealed it up. I remember finding it on the appetizer menu at Mr. Chens, a place back home in Little Rock, Arkansas. 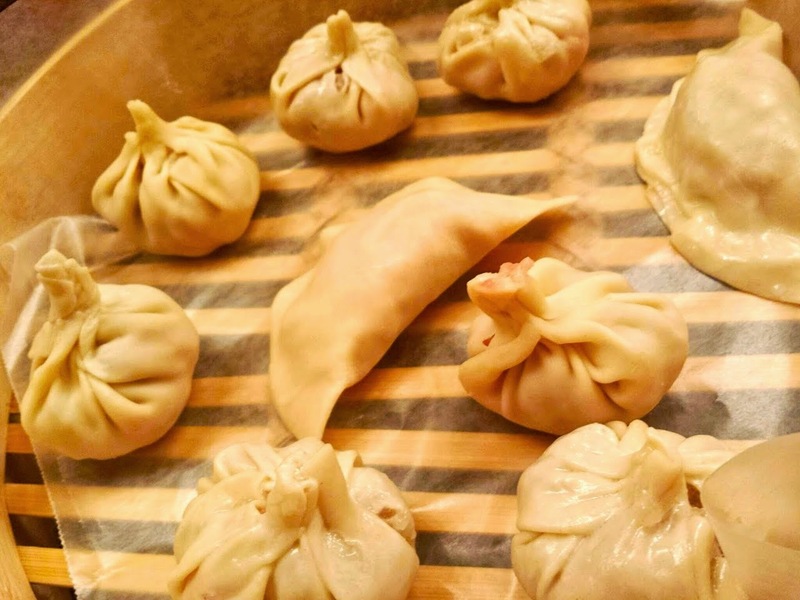 Another food blogger in town who also loved dumplings had featured a picture of them on social media, and I was amazed I had never heard of them before. So I researched it, and learned about aspic, the key to making the soup dumpling. It's made by preparing a bone broth, the latest terminology used in the mainstream which has always been known as stock or broth in the professional culinary world. Paleo lifestyle proponents have been really advocating the benefits of bone broth lately. 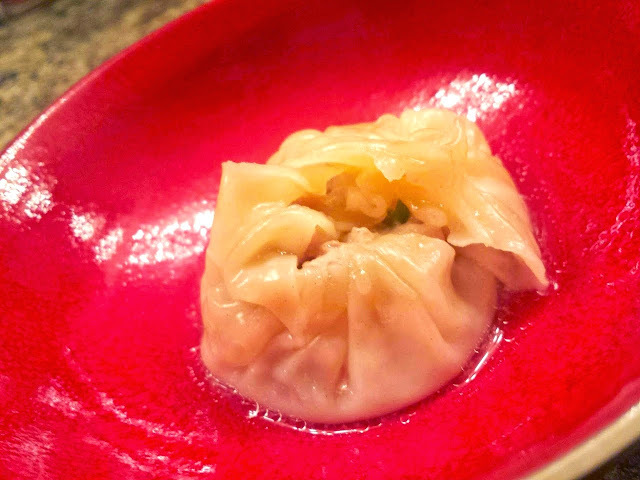 When bones with plenty of cartilage are simmered in water for hours, then cooled, then refrigerated, the result is the aspic, which can then be placed inside the dumpling wrapper. Once the dumpling is steamed, the aspic is heated, melted, and you get the broth in your soup dumpling. 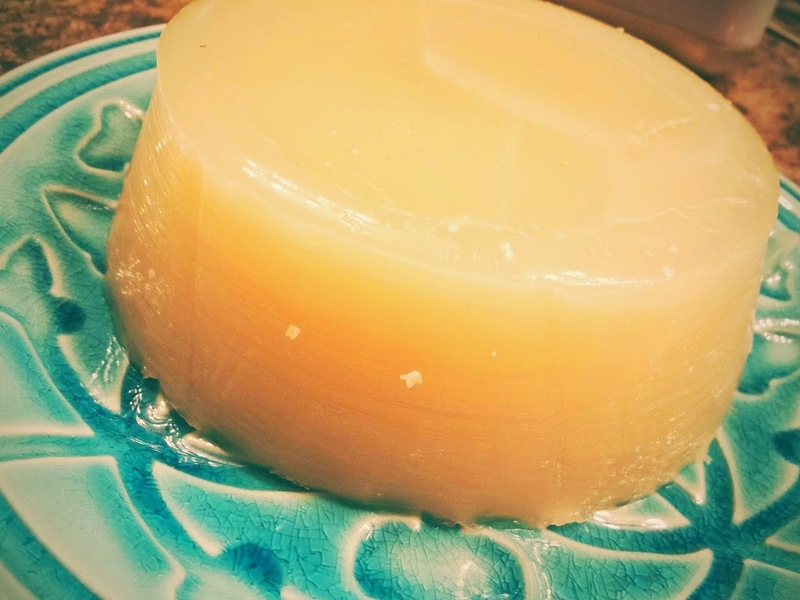 The remaining aspic or broth can be used for the basis of future soups or sauces. Latest trends around the country have people ordering a hot cup of bone broth to sip on and enjoy the nutrients. For more information about that, I like this article. 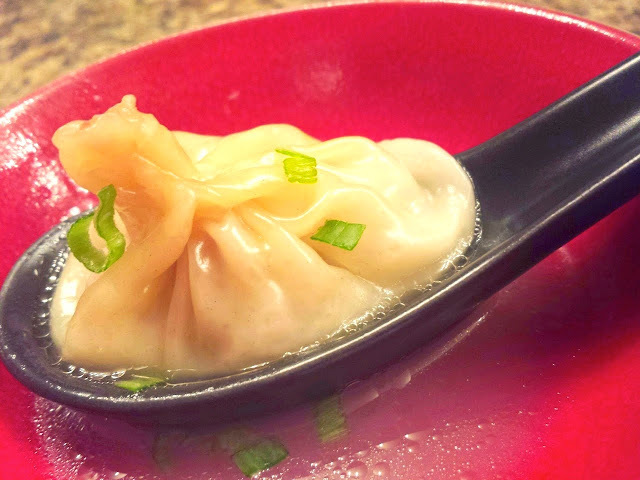 I've been reading a lot of cookbooks and blogs about making dumplings lately. Of all the wrappers I've tried, I've found the round Gyoza wrappers to be my favorite. 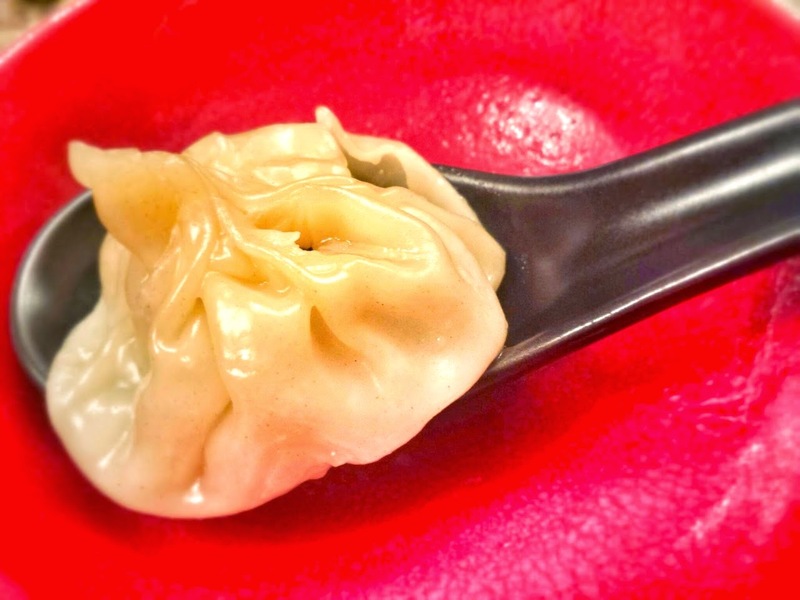 Wax paper is okay, but sometimes the dumplings would stick to them, releasing some of the broth from inside. I'm going back to using banana leaves that I can find at the Asian market in the freezer section. Be careful when you bite into a soup dumpling. The broth inside can be really hot!! If you take a small bite, release some of the broth onto a soup spoon, then you can let it cool a little before you slurp it up. The soup dumpling recipe that I liked best came from The Woks of Life. But of course I improvised to make my own version. Instead of making my own wrappers, I used the Gyoza wrapper that you can find in the freezer section in Asian markets or at regular grocery stores near the tofu section. I also doubled the aspic ingredients to store the broth for future use. Going through this cooking process, along with all the research, has really inspired me to start making my own broth and stock! When I have the time, I will roast the bones at 450 degrees for 20 minutes to enhance future stocks. In a medium pot, add the pork skin and pork bones and cover with cold water. Bring to a rolling boil, and immediately drain and rinse off the bones and the skin. This gets rid of any impurities. Rinse out the pot and put everything back in. Add enough water to cover by an inch, ginger, scallion and wine. Bring the pot to a boil and then reduce the heat to low. Cover and simmer for 2 hours. Next, strain the liquid. Allow to cool, then refrigerate overnight. To make the dumplings, scoop out a heaping cup of the aspic, cut into smaller sections, then mix into your filling mixture. Mix the filling ingredients, use about a teaspoon full per wrapper, then steam over medium high or high heat for 8 minutes.